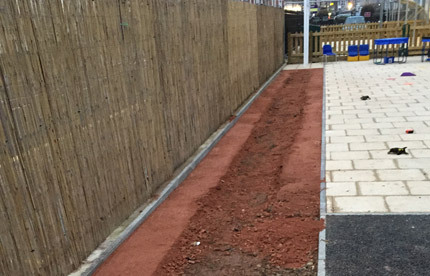 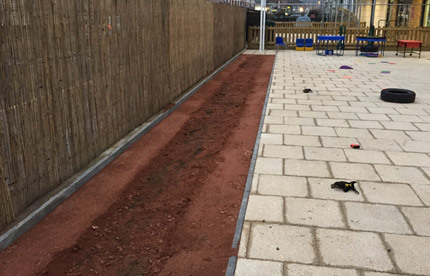 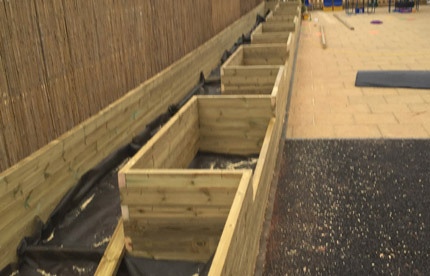 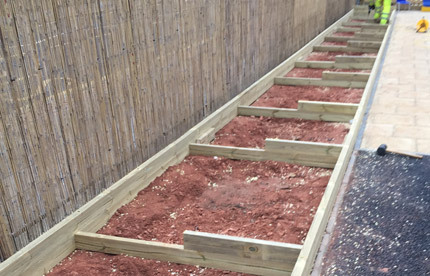 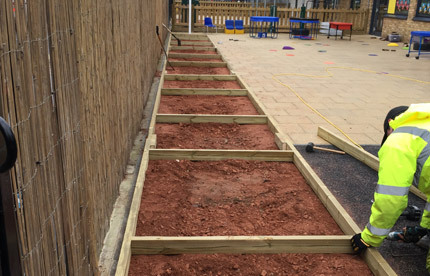 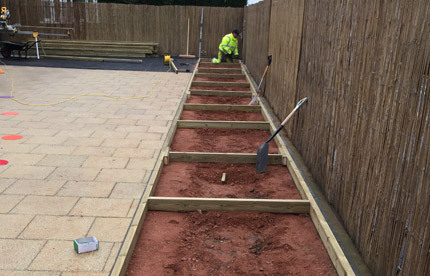 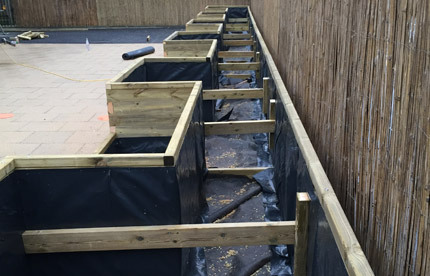 Whitehorse Manor Primary was a blank canvas for Taylor Made Planters, Peter Hill the facilities manager called to arrange a site meeting to see what we could offer and here’s what we came up with. 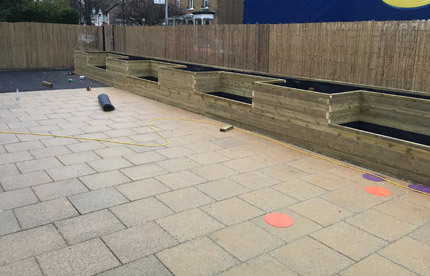 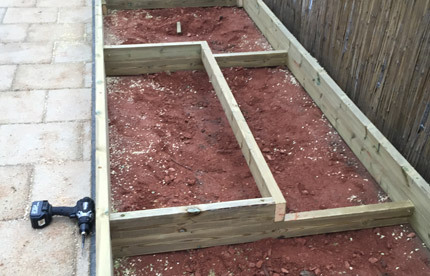 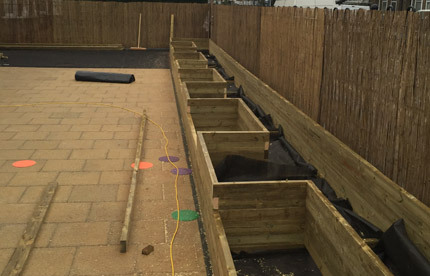 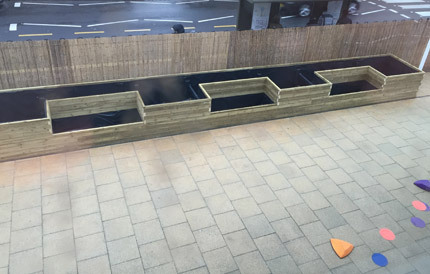 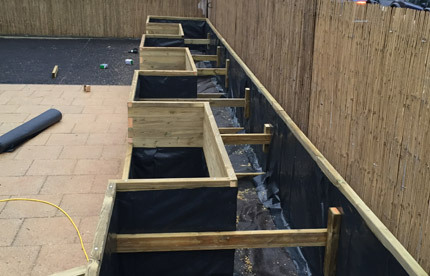 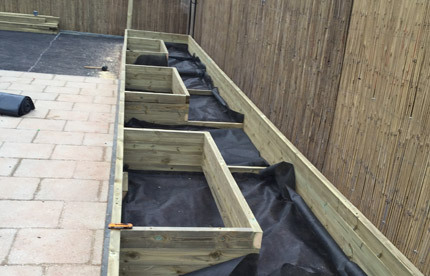 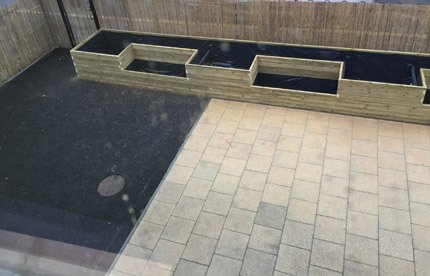 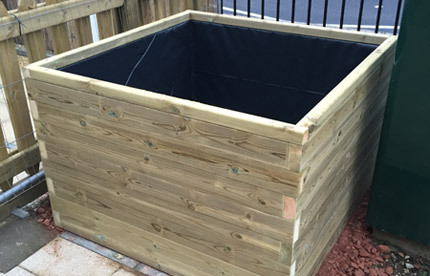 We didn’t want to just put planters in that served one purpose to hide the fence, so we came up with a design that integrated vegetable patches for the children to use. 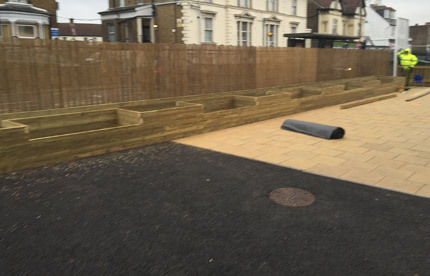 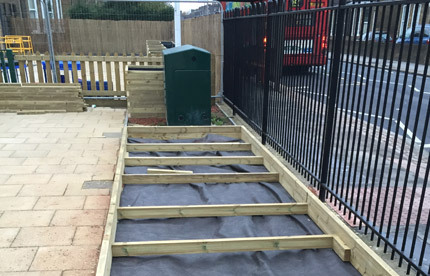 We then built up the raised bed around these to hide the fencing that ran along the front of the school. 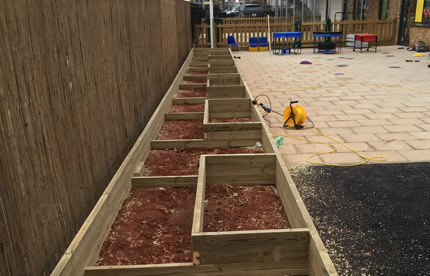 Along with the school planter in the playground we built three extra large planters in the entrance of the school to welcome parents and visitors. 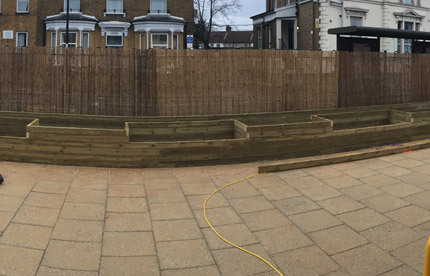 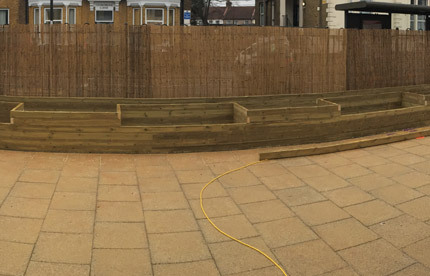 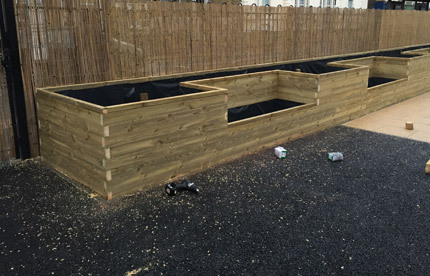 To finish the design, we supplied three heavy duty wooden benches and three circular planters for the rear of the school.